Ask fellow campers about "Fort Flagler State Park" and nearby attractions. Answer: Hello, I don't know about Verizon. I used AT&T at the lower campground and had service, both types. Nice park. Right on the ocean. 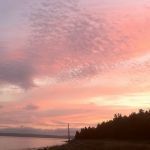 We camped at Fort Flagler State Park in a Travel Trailer. One of our favorite Washington State Park Campgrounds. Miles of hiking and biking trails. Lot of history from WW1 and WW2. Very friendly Campground Hosts. Only problem is that in the winter the water is turned off. There is one site to fill up at though. Great views of Pt. Townsend Bay and Pt. Townsend across the bay. Hike around to the Lighthouse and get a great view of Admiralty Inlet. Each site has a fire ring and picnic table. Easy, level, gravel back in sites mostly. Some pull through sites further back in the trees, which gives you a great wind break. Highly recommended for relaxation and family time. We camped at Fort Flagler State Park in a Motorhome. Food: 10 miles to QFC. Visit historic Pt. Townsend, about 25 miles away. We stayed in the beach campground. Our site was a back-in, very level and wide, and trees on both sides provided a lot of privacy. A nice quiet park in the evening (a campfire ban was in place while we were there so no annoying smoke). The ranger on duty was very helpful, and the registration booth was well stocked with maps and pamphlets. We stayed two nights and we would definitely stay here again. We camped at Fort Flagler State Park in a Truck Camper. This is a great park. There are two campgrounds, one in the forest and one near the beach. There are trails to hike, beaches to walk and nature to enjoy. Not to mention there are old gun emplacements from when this was a coastal defense fort. We camped at Fort Flagler State Park in a Travel Trailer. 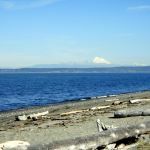 So much to do at the park, you can also drive over to Port Townsend. Memorial Day weekend, and busy. Great low tides, but closed to shellfishing. ☹. Site was very clean, as upper loop opened a little while earlier. Good cell through out park. Roads are narrow in upper loop, and would suggest nothing over 30 feet. Lower loop has all the hook up, and big rig friendly we dry camped in upper because of the trees. Park has a general store, stocked with most you forgot, or you know. I want a ice cream cone. Yes we will be back. We camped at Fort Flagler State Park in a Motorhome. Bike, hike, Marrowstone Winery, Port Townsend, you will be never bored. Always a well maintained and beautiful park. Campground Hosts do an excellent job of keeping the sites clean and picked up. Bathrooms are clean and nicely maintained and supplied. Lot of hiking, sightseeing, and history to see and do here. Our favorite Western Washington State Park. Our site had a fairly decent view of the bay. (Costs of $1 are in just because they don't accept $0 on this site!) We camped at Fort Flagler State Park in a Motorhome. Hike up and take a tour of the gun emplacements. Kite flying in the field. Boat launch and tie-up pier. Bird watching. Lay back, relax and watch the big ships go by. Price reflects out-of-state. We stayed in the lower (open beach) campground. Good hookups, clean but institutional (cement) pay showers. Good walking/hiking/biking. Would stay again. We camped at Fort Flagler State Park in a Motorhome. We dry camped in the upper loop. Price reflects premium site. Hook ups Are on the bottom loop, but we prefer the tree of upper loop. Bottom Loop is great, on the beach some sites, but to us a little exposed to weather. The old fort has lots of history, good hiking, and mountain biking trails. We happened to camping gear during might us tides, some clarification get, and crabbing was excellent. We would stay again. We camped at Fort Flagler State Park in a Motorhome. We spent three nights here and really enjoyed our stay. The park appears to have undergone significant improvements since the last time we checked it out. We opted for a back-in site with full hook-ups in an open area with views across the salt water to Port Townsend. The old fortifications and gun emplacements make for fascinating exploring. There are also lots of good biking and hiking trails in the park and it's just a relatively short drive into Port Townsend. We would definitely stay here again. The rate quoted is with our Washington state senior discount off-season pass - a great deal! We camped at Fort Flagler State Park in a Travel Trailer. Full hookups but no trees. Big spaces between sites. Great views across water to Port Townsend. Park is huge and scenic. Sites are flat and large enough to maneuver even with tow car. Loved the area. Fire pits and wood is available for a real camping feeling. We camped at Fort Flagler State Park in a Motorhome. We had site #54 with 30 amp electric and water. The site was a level, dirt back-in with greenery on each side for shade and a bit of a visual screen from neighbors; we have a 30 ft class A. Site #53 looked nice because there was no neighbor on the awning side. There are only thirteen W/E sites, numbers 53 thru 59 had some shade, the rest were more open with nice views of the bay. This is a very pretty park with interesting history and nice trails through the park. Dump station was easy to access. 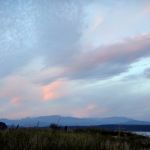 We camped at Fort Flagler State Park in a Motorhome. Great place to take your family. The campground has two loops -- the upper loop is in the forest and has lots of trees. The lower loop is down on the beach and has very few trees, but a fantastic view of Port Townsend. The park has a museum, and lots of bunkers and things to explore. During the summer they have a small store/burger stand open. The park staff are very friendly. It's really a wonderful place to stay and to bring kids. We camped at Fort Flagler State Park in a Fifth Wheel. Are you affiliated with Fort Flagler State Park ?